Get Cozy with this warm deliciousness! So, you know I do love some pumpkin but not in your face overly clovey nutmeg overdosed pumpkin but mild flavored light on the cinnamon pumpkin, lol. So, this light on the sweet hot chocolate with my beloved chilly season Baileys is just what the Doctor Andrea ordered! Tasty! And I promise no more Pumpkin Recipes til next Fall. Grab a cookie and a mug and sit with your thoughts, a book, a friend or your favorite TV show! I drank one of these about 8pm one evening and slept like a baby! Cutest little napkins are from Home Goods. Pumpkin pie spice for garnishing. In a small saucepan, combine chocolates and milk over low heat until the chocolate is melted. Whisk in the pumpkin, pumpkin pie spice and Baileys and whisk for a minute. Remove from heat and whisk in the vanilla. Serve immediately with whipped cream and sprinkled with pumpkin pie spice. Serves 2. 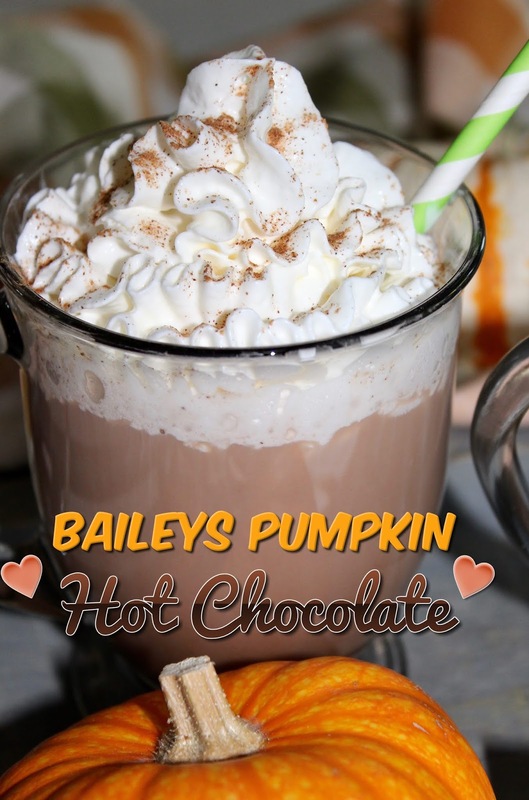 **Of course you can totally omit the Bailey's and just have a pumpkin Hot chocolate, maybe replace it with a little heavy cream or Half-n-Half. You know, I have never had Bailey's before! I bet the pumpkin and chocolate flavor tastes so good together, too...yum! Oh my goodness, the decadence! This looks fabulous, I will definitely need to try this! Another amazing Andrea creation! This sounds so good! 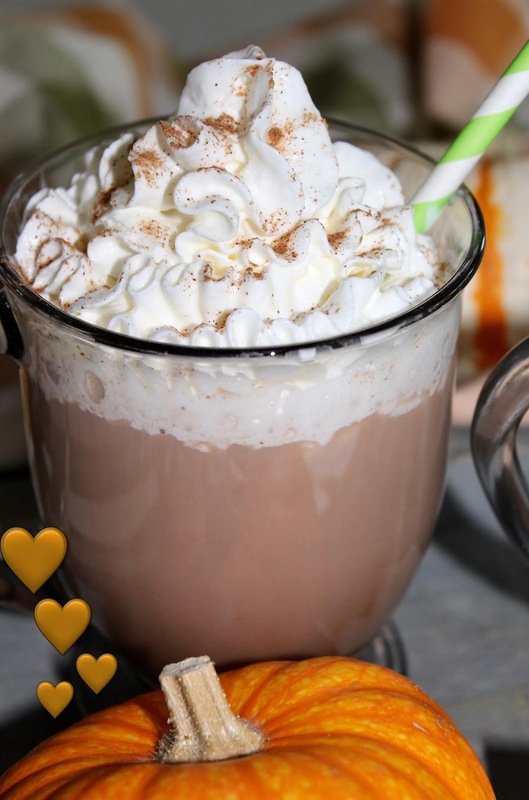 This is the perfect fall drink! I'll definitely be making this! 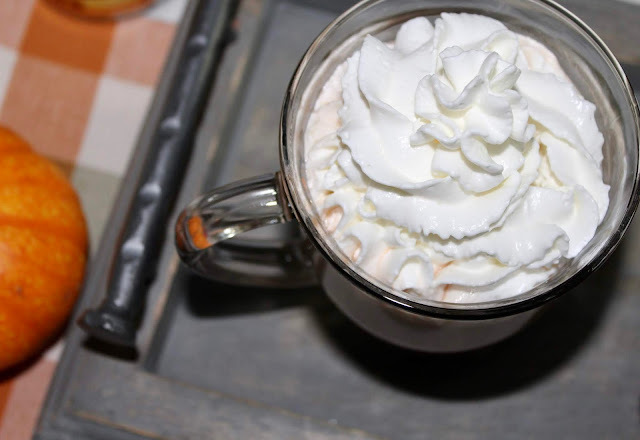 You had me at Baileys & whipped cream! Oh yum and yes please! I never tire of pumpkin recipes!! Have great day sweet lady! 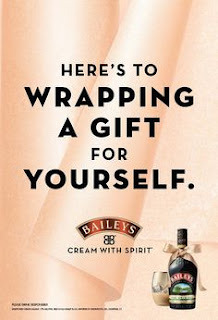 You had me at “Bailey’s”. Im pinning this for later!! That sounds so good!! I love "adult" hot chocolates! Oh my...this looks decadent! You've had me craving Baileys's since you talked about having it with decaf on your weekend getaway. This is taking the craving to a new level! Thanks for sharing! OK, this just is perfection. I just see a book & a fireplace & a cozy blanket also in play with this drink! This looks and sounds absolutely divine! This is perfection in a mug! My mouth is watering - this sounds SO GOOD! You had me at Bailey's, girlfriend! YUM! Oh my gosh, this sounds like pure heaven. I'm pinning this for later!! This sounds so good! I need this for my thanksgiving celebrations! Yum! Can we keep all of the pumpkin recipes going through November though, I don't think that I can wait until next year! This sounds decadent! I love Bailey's so this is right up my alley! I can't wait to try this! 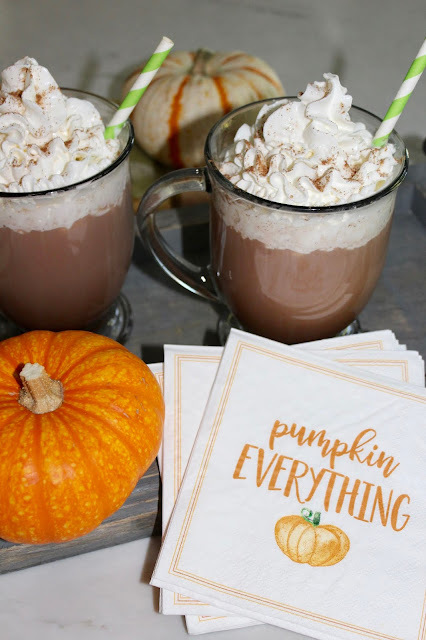 This sounds like the perfect fall drink!! This looks delicious, my sweet Andrea. I know I may have said this last autumn as well but ... Sweet and pumpkin as a pairing is still mostly alien to we other-side-of-ponders. Where has our spirit of adventure gone? I want to join in with all your pumpkin sweetness but I would never even find pumpkin puree on our shelves 🤔😒😖! Hugs, x.
Gosh, I just tried the Apple Cider Sangria that Kellyann shared from another blogger last week... and, now this?! My husband is going to think I'm turning into a Fall lush! Ha, ha!! I am going to have to try this, it looks great! I love that it isn't overboard on the pumpkin/spice flavors, too! Oh wow this drink looks so good! I never had it with the Baileys in it. 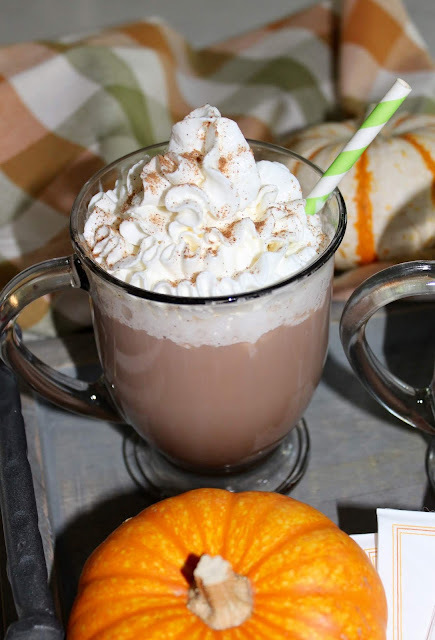 I am pinning this drink recipe as it looks perfect for the fall and the holidays. This would be perfect for tailgates! That's got to be delicious, Andrea! Very decadent! I can picture the morning after Thanksgiving with the family. Pinned. 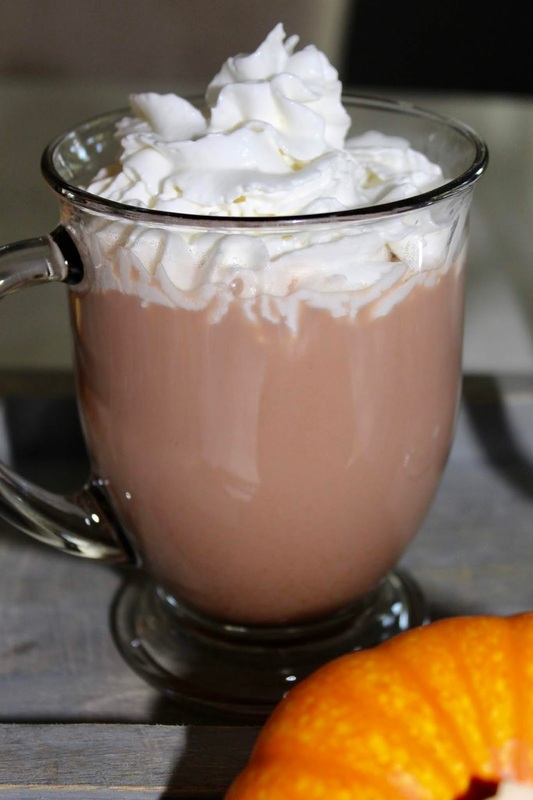 Looks like a great hot chocolate! Thanks so much for sharing with us at Full Plate Thursday. Hope you have a great weekend and come back soon! This looks amazing! Perfect for a chilly Fall evening! Andrea what is there not to love. Chocolate and Pumpkin AND Bailey's. They best of fall all in one drink! Yum, this recipe looks wonderful. Setting up a hot cocoa bar and I want to add this recipe to the offerings.